Immersive marketing at its best. 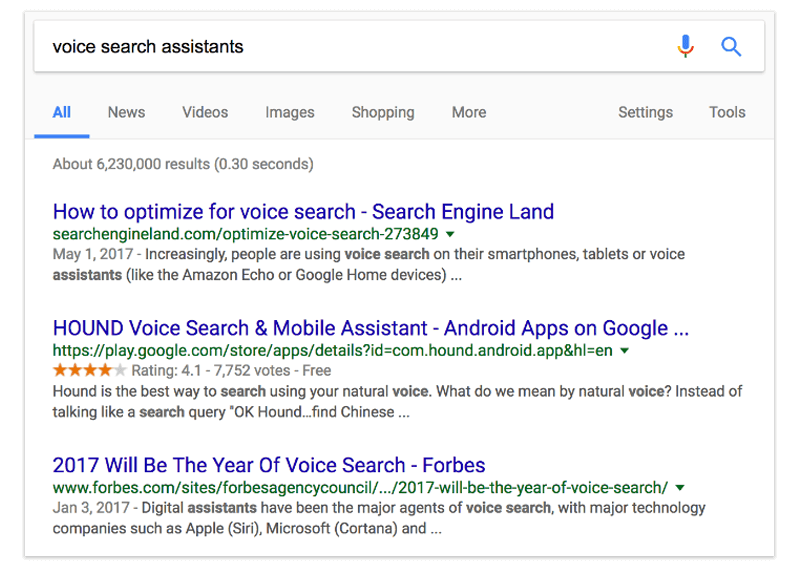 With stunts like these and publications like Forbes calling 2017 the year of voice search, now is the time to be thinking about how voice search may impact your SEO strategy in the years to come. In a nutshell, voice search is the ability to search the web by saying your search query aloud, rather than typing it out in a search bar. Typically, you activate the search function via a voice command (“OK Google” or “Hey Siri” on your phone, or “Alexa” to your Amazon Echo) or by tapping the microphone icon next to the search bar on your browser. Google’s Voice Search was first introduced in 2010 via a clunky, albeit workable solution – users dialed a number from their mobile phone and then said their search query after a prerecorded message. Today, voice search is available on an increasing number of search engines, mobile devices, home assistants, and even cars. 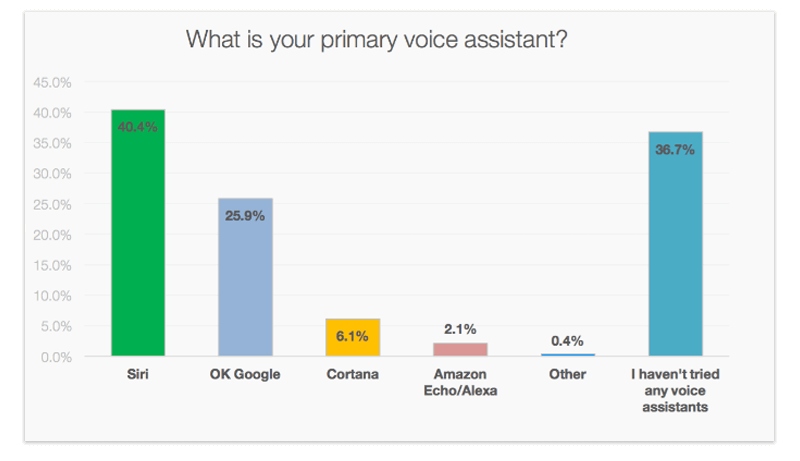 Apple’s Siri and Google’s OK Google currently dominate the voice search market, with Microsoft’s Cortana and Amazon’s Alexa trailing behind. As these tech giants develop more products, their voice assistants will continue spreading their wings into more apps and devices. When Google first introduced OK Google, it was only available via a phone call. Now it’s in Maps, Google Home, and hundreds of other apps. By 2017, all Ford vehicles will come with Apple CarPlay. If you run a business that relies in part on digital marketing channels (and what business today doesn’t? ), your marketing team awaits the next Google algorithm update with curiosity or even fear. For voice search, the most important algorithm in recent years was the Hummingbird update and its focus on semantic search. What’s semantic search? Semantic search emphasizes a searcher’s intent over the specific words used in their search query, relying on Google’s RankBrain machine learning system to deliver answers closer to what the user actually wants to find out, instead of relying solely on what they said. For example, you might perform a voice search for “best Italian food near me.” You’ll get a list of results. Then you might ask to have the reviews read for a certain restaurant. 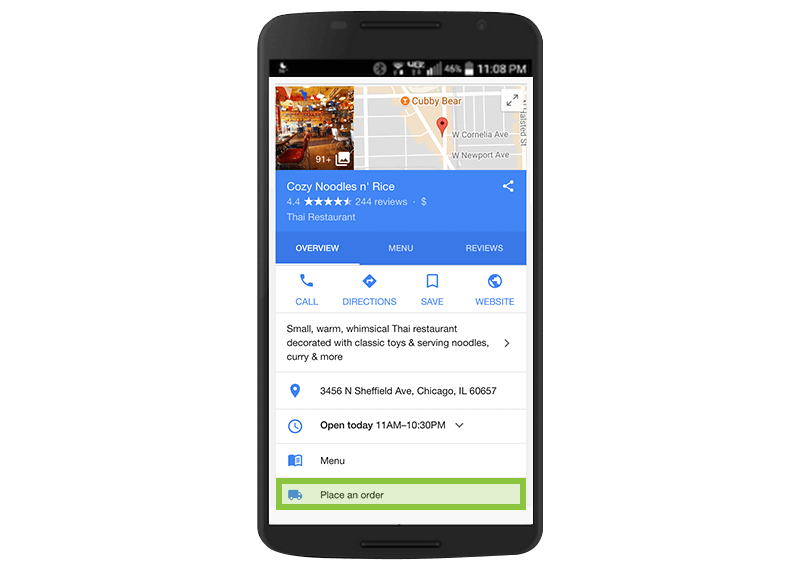 If you then ask, “How far away is it?”, Google will understand that you want to know directions to that specific restaurant based on semantic search. As you might expect, today’s voice search users typically perform fairly simple searches. They need directions, want to look up an actor’s name, or check product availability. If they’re searching for something, it’s usually the kind of query that can be answered via what Google calls a Rich Answer. 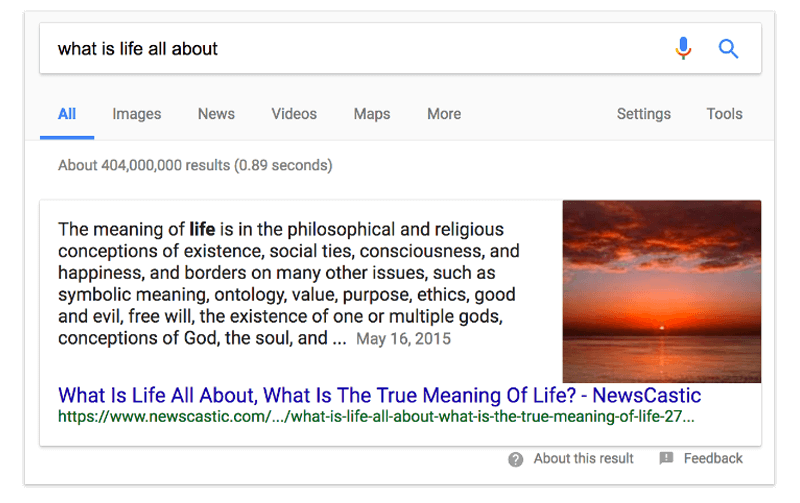 The answer below from Google is a classic “rich answer” known as a featured snippet, where Google pulls information from a website in order to resolve the searcher’s question without them having to actually click through to the website. Any search result on the first page of results is eligible for featured snippet. 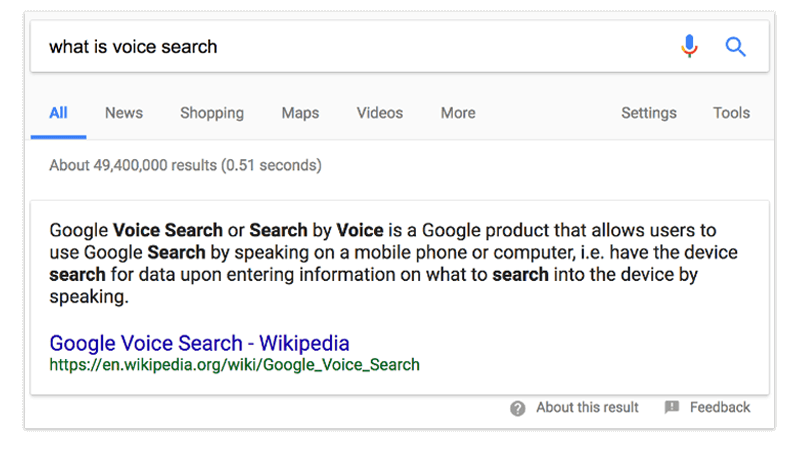 These featured snippets are prime fodder for voice search. They provide quick answers to a searcher’s question. Is Voice Search Really a Big Deal? Yes, but you know that already. Otherwise you wouldn’t still be reading. 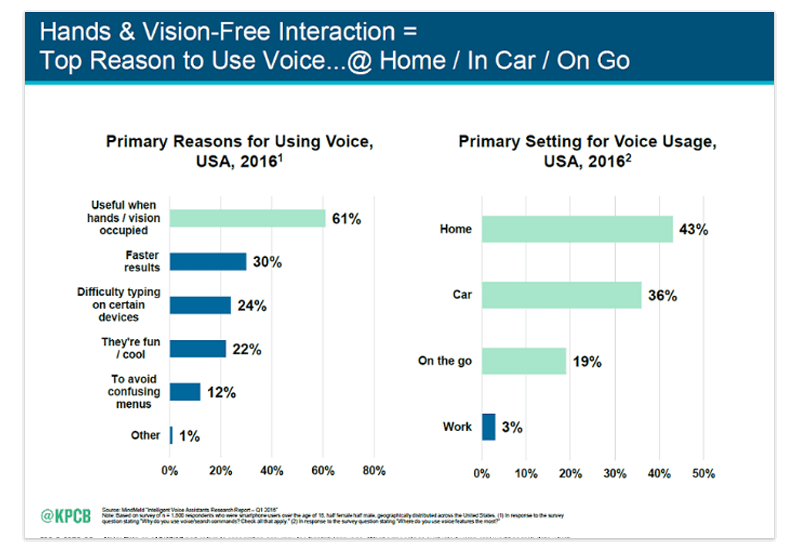 Voice search popularity has been growing at a swift and steady pace. Google voice queries have grown 35 times from 2008 to 2016. 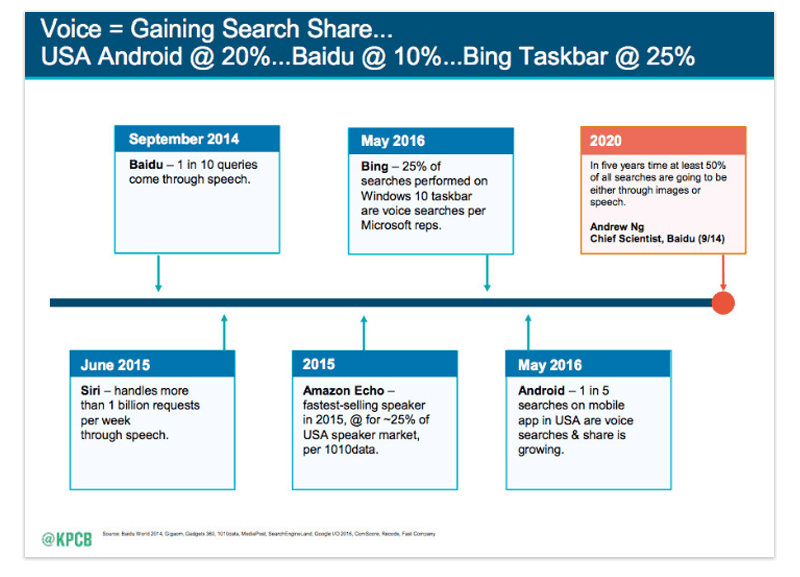 Today, 1 in 5 queries on the Google mobile app and Android devices use voice search. Considering that number is isolated to Google devices and doesn’t include Siri, Cortana, or Alexa, the number among all voice search assistants is even higher. As such, it’s no surprise that ComScore estimates that 50 percent of search will be voice search by 2020. The popularity of voice search shows no signs of slowing down, and for good reason. 1. Voice search is easier than typing. People can type about 40 words per minute, but we can speak about 150. Voice search is simply faster and more efficient. This makes it popular among all age groups, regardless of their familiarity with tech. Early adopters love it because it’s cool and it’s easy for them to catch on, while older age groups with less tech-savvy find it more intuitive than typing on a mobile phone. You won’t have typos with voice search, for instance. 2. Voice search is increasingly accurate. Not only is it quicker, but voice search has become increasingly more accurate, making it a viable competitor to traditional search. 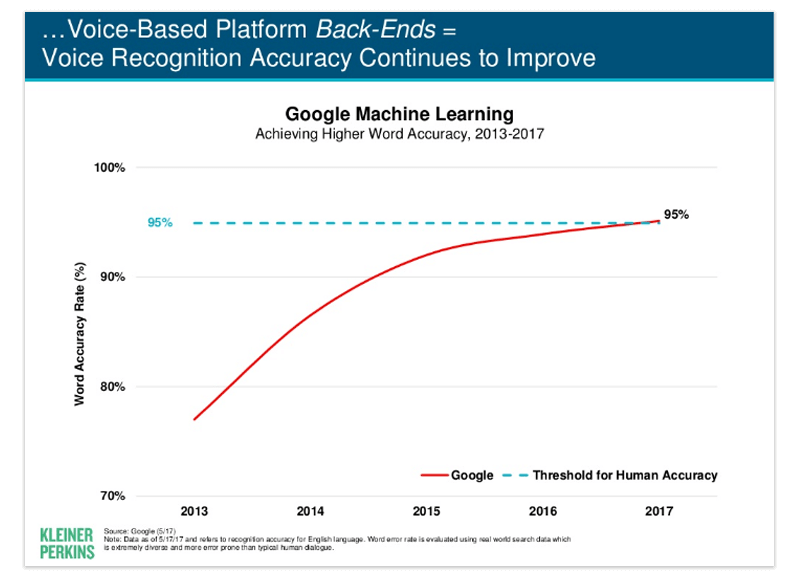 According to Mary Meeker’s authoritative 2017 Internet Trends report, voice search has just reached 95 percent accuracy. Voice search is especially powerful when you consider its ability to tailor to the user. Google, Siri and Cortana can all learn your unique speaking patterns over time (Alexa is the only exception at this time). What filler words do you use? Do you have an accent or use regional colloquialism or pronunciations? Voice search will account for it. When you combine this with voice search’s ability to mine and reference your prior search history, your search results become even more tailored and accurate. 3. Voice search is just plain fun. 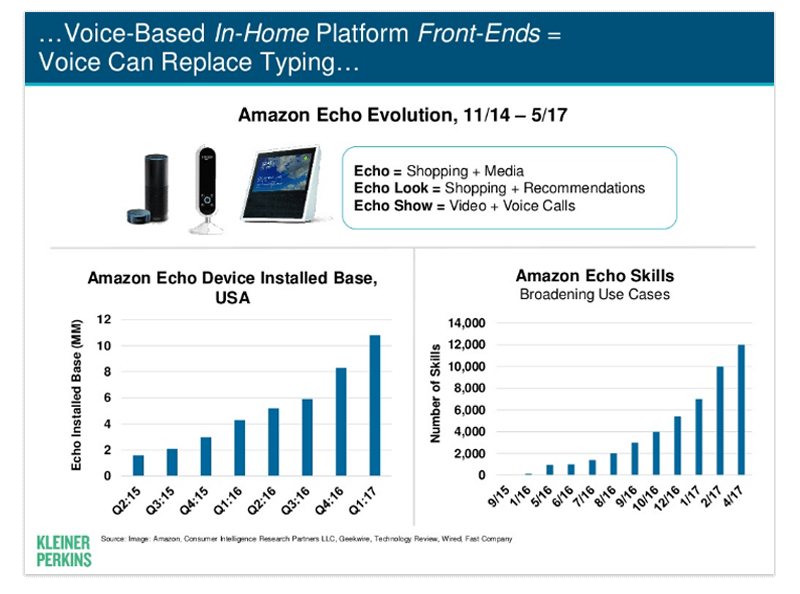 Thanks to the improved accuracy, users are increasingly happier with their voice assistants, leading them to use voice search more frequently. In a 2016 survey by MindMeld, over half of users reported using voice search on a daily or weekly basis. Voice search understands your unique quirks, performs searches based on your previous queries, and understands the context of your search based on your location, the app you have open, or what is already on your screen. What’s not to like? Google aims to answer voice search queries with Rich Answers because they tend to be about an on-the-go topic that doesn’t require a user to have a significant interaction with a website. Simpler Rich Answer queries like “What temperature is it outside?” or “What’s the score right now?” are easily answered via a knowledge box and don’t require users to delve beyond the Voice Search answer. Google’s featured snippet is only so large. Users will still need to click through to learn more about the meaning of life. More complex queries like these, are where your website can succeed with voice search. The good news about voice search is that you don’t necessarily have to do anything special. The best way to prepare for voice search is to continue practicing SEO best practices – with an added emphasis on semantic search and user intent. You’ll also need to adjust your marketing strategy to ensure Google shows you for the super quick answers like your business hours, and listing you in the local map 3-pack for relevant services. Let’s review some strategies to help you excel at voice search. Content is still important in the age of voice search. The key changes you’ll want to make here revolve around how you develop and present your content to make it onto page one and get selected for a featured snippet. Featured snippets are all about answering the Who, What, When, Where, and How. Optimize your content by answering questions your potential customers are asking. Lean in to the local nature of voice search. For instance, your testimonials page might include copy about “Read why our customers think we’re the best [business type] in [your city]” to optimize for “best [your business type] near me” searches. Make your content scannable and use the right html markup so it’s easier for Google to digest. Use paragraph tags, h2s and h3s, and bulleted lists where they make sense. These make your article more readable for users as well, so they’re more likely to stick around. Long-tail keywords are great for voice search because they tend to be more conversational, just like voice search queries. Plus, they have the added bonus of being less competitive from a ranking perspective. Listen to how your customers talk about your business, and frame your blog topics or sub-headings around those questions. Most keyword analytics tools include the ability to filter by questions. One great free tool that does this well is AnswerThePublic.com. If you don’t have the budget or buy-in for blogging, consider adding a FAQ page to your site. If you already blog, FAQs can be a nice spot to answer shorter questions that don’t merit a full blog article. If you’re local, make sure to answer specific questions about your business, such as your hours, the cost of your services, and directions. Be sure to include directions in a list format, so a voice search can easily rattle them off and help customers find you. Beyond local brick-and-mortar FAQ, use your FAQ page to answer questions about your industry and help drive additional traffic. If you have a customer service team, ask them about your top customer questions and address them on this page. Remember that featured snippets are primed for questions that help a searcher go somewhere, learn something, do something, or buy something. Make sure your FAQ answers questions that do just that. 1 – Create and develop content designed to fully answer user intent (“content” including everything from your website copy to blogs to images and video). 2 – Then, make that content easy for Google to find. One of the best ways to make that content easy for Google to find is through schema markup. Schema is an agreed upon vocabulary by the major search engines that’s used for encoding structured data on the web. That sounds technical, but the gist is that you can use schema to help search engines understand whether the content on your site is about a local business, product, recipe, event, article, or something else. You can view the full list of schema options at Schema.org and reference Google’s Structured Data Markup Helper to ensure your schema markup is correct before your publish it live on your site. Not only does Schema help Google understand your content better, it also helps your site pop more in the search results, enticing searchers to choose you above one of your competitors. Take a look at how Hound VOICE Search app pops below. Local citations refer to directory websites that list your business information. These include your profile on Google My Business, third-party review sites, and business listing directories. These local citations help Google understand the scope, industry, and popularity of your business. It is critically important to use a consistent NAP (Name, Address, Phone Number) across your website, your Local Business or Organization schema, and ALL of your local citations. Otherwise, you can cause confusion for Google (and nobody wants that). Take special care to ensure your Google My Business listing is optimized. Load multiple photos, get positive reviews, and if it makes sense for your business, set up an instant booking or appointment service. The more complete your Google My Business Listing is, the likelier you are to get chosen for a local 3-pack search result. Third-party review sites are also increasingly important for SEO. With many types of searches, it’s very difficult for a website to show up for “Best [Business Type] in [City]” so it’s important that you have a high rating and show up high within those individual websites as potential customers are weighing you and your competitors. For Amazon voice search, review sites are especially important. Amazon uses other apps and databases (called “skills”) to answer questions outside of the Amazon universe, such as Yelp for local business searches. So you want to rank high in Yelp if you want Alexa to direct customers your way. 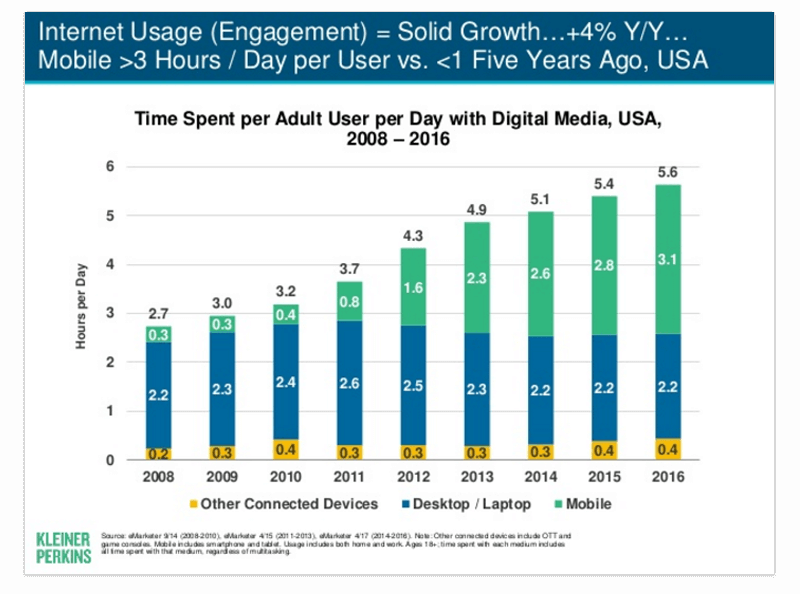 In the past few years desktop internet use has plateaued while mobile internet use has continued to rise. According to Mary Meeker’s 2017 Internet Trends report, 20 percent of mobile searches used voice search in 2016. The trend should only continue. Making sure your site is mobile-friendly will increase your chances of making it onto page one of Google, and a coveted featured snippet from there. Invest in site speed and making your site load quickly for users. Submit your sitemap and address any crawl errors. What’s next on the frontier of voice search? In summer 2016, Google announced plans to add voice search data to Search Console, so soon you’ll be able to see how your voice-searching customers differ from their web-searching counterparts, and what kinds of questions they are asking. Until then, pay attention to your data and let it guide your decisions. Which of your content is performing well? Do more of that, and optimize it using the tips above. Develop your user personas, and create content that aligns to each step of their customer journey. With SEO, everything takes time. The sooner you get started, the farther ahead you’ll be. Want help beating the voice search game? Call us.